The Q - The Q - wedding and events band on the Costa del Sol (Spain) . Rock, soul and funk classic and recent hits. Sitting down is not an option!! Thanks for coming by! We're always happy to get a visit from long-time fans and new friends. The Q is a professional wedding & events band with an exciting setlist and a passion for music that will make your party rock! Check out our Music Gallery, Set List and Artist Bios to get the scoop. 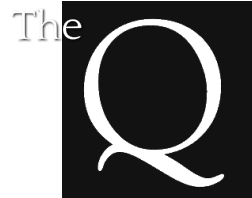 The Q was formed in 2007. We cover much loved soul, pop and rock hits, from Bruno Mars to Amy Winehouse, from Otis Redding to The Killers. Our aim? To create a stampede to the dance floor! Over the last ten years The Q has become very popular on the southern coast of Spain and further afield. Apart from our regular gigs in Marbella, Estepona, Benalmadena, Fuengirola, Mijas and Nerja, we also perform at weddings, corporate events and private parties all over Spain, Gibraltar and Portugal. The Q are available as a full five-piece band or an acoustic duo. We will adapt our set list and songs to your marriage or blessing ceremony, cocktail hour or wedding party. Don't hesitate to request a first dance song or your favourite tunes! Need more info? We'd love to help. Contact us here. "Thank you for performing such an amazing gig the night of our wedding! We were so delighted with the music played and the interaction of the band with our guests. You were so accommodating, really understood what we were looking for and are genuinely lovely people, we really could not recommend you highly enough!! It was the perfect entertainment for our perfect day!! A million thank yous..."
"A massive thank you for performing at our wedding! We loved all the music you played and the fun you had with our guests, I don’t think I ever saw the dance floor empty!! ... We personally could not recommend you highly enough!! You certainly helped make it the best day of our lives!!" "You guys were amazing on our wedding day!!! So, so good!! I hope that was plain to see from the fact the dance floor was alway full!!!!"